The programming paradigms group investigates compilation, analysis and application of various programming paradigms, with focus on object oriented and concurrent languages. Within the Sonderforschungsbereich InvasIC, we develop a language and compiler for invasive parallel computing, based on IBMs language X10 and our compiler framework FIRM. 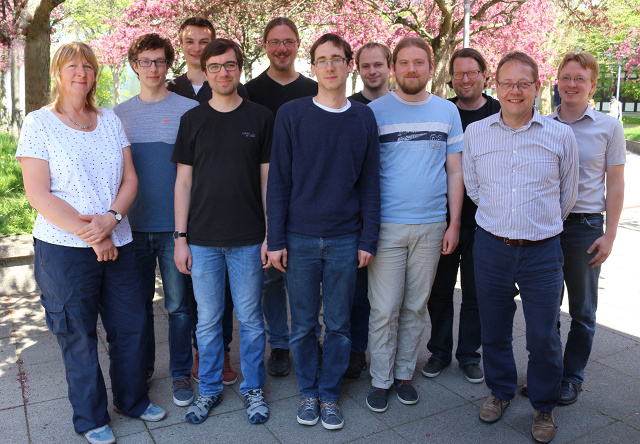 In the scope of the DFG Priority Program RS3, we develop the software security analysis tool Joana and Information Flow Control for mobile components. Based on precise program dependence graphs and sophisticated algorithms, Joana statically finds illicit information flow in full Java programs containing an arbitrary number of threads, while minimizing program annotations and false alarms. We aim for empirical validation and solid theoretical foundations of our results. In the scope of the Quis-Custodiet project, we deliver machine checked correctness proofs for our security analyses.